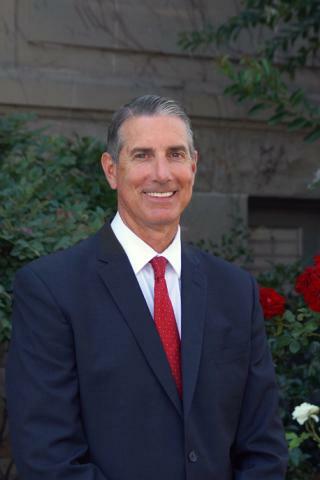 The San Mateo County Board of Supervisors today named current Assistant County Manager Mike Callagy to succeed John L. Maltbie in the top post overseeing a $2.75 billion budget and a workforce of more than 5,500 who deliver vital services and programs to a county of more than 760,000 residents. The county manager oversees the daily operations of County government, manages its considerable projects and carries out the policies set by the Board of Supervisors. The Board will vote on Callagy’s contract at its July 10, 2018, meeting and he will fully assume his new post in November 2018 when Maltbie retires. Maltbie served as county manager from 1989 to 2008 and returned in December 2012 at the request of the Board. “It was an honor to serve this county and lead the outstanding men and women who work so hard to deliver outstanding services. I’m pleased that San Mateo County residents will remain in such capable and thoughtful hands,” Maltbie said. The Board selected Callagy after a nationwide recruitment and several rounds of interviews. Board President Dave Pine noted Callagy’s proven track record, leadership style and devotion to serving the community as key elements to his selection. Callagy joined the County of San Mateo as one of three deputy county managers in 2013 after a 29-year career with the San Mateo Police Department where he ran day-to-day operations and retired as the deputy chief. In 2016, he was named assistant county manager. He holds a law degree from Santa Clara University, a Bachelor of Arts and Master’s degree in public administration from the College of Notre Dame and a Master’s degree in homeland defense and security from the Naval Postgraduate School. In his new role, Callagy said his priorities will be public safety and health, fiscal responsibility and promoting the Board’s goals and policy objectives. Innovation will also be a big part of the County’s future, he said. “Local government offers the unique chance to really see the difference it makes in daily lives and I consider myself lucky to serve the community I call home,” Callagy said. Callagy, a lifelong San Mateo County resident, lives in Foster City with his family. Callagy’s compensation will include a $332,800 base salary plus transportation allowance and other benefits.